Many insects are constrained by the amount resources they acquire during their juvenile and adult life cycles which they often have to allocate to survival and reproduction. This can result in a trade-off between lifespan, growth rate, body size as well as gamete production, mate acquisition and fertilization success. In fact, there are a number of flies, beetles, moths and butterflies, the adults are extremely short-lived. Their entire adult life is often completely devoted to reproduction and devoid of foraging. 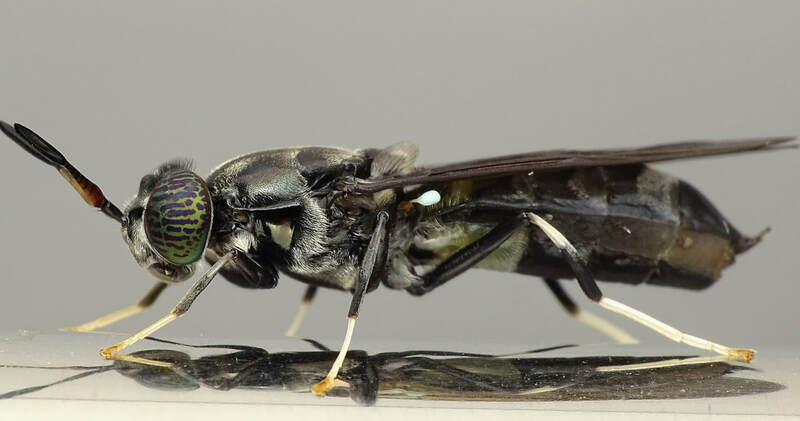 One such species is the Black Soldier Fly (BSF) where adult flies are dependent solely on the nutrients gathered as larvae and they spend it looking for mates and investing in offspring. These offspring actually play a crucial ecosystem function as larvae: they are nature's most industrious recyclers. BSF larvae are voracious eaters that can consume and convert nearly 70% of food waste into larval biomass of high protein and fat. We are part of a research group that endeavors to optimize these flies to convert organic waste into animal feed and fertilizers by selecting for key traits that increases the adult egg production and improves larval recycling efficiency.